Accrington Hall Of Fame What is Accrington famous for? If there is anything you know, please let us know in here. I write better poetry than that. Please feel free to share some with us. Unless you have, and that was one. In which case we don't want anymore. This is a Hall of Fame thread. In the correct forum section for local people who've made some mark on the wider world. It isn't a poetry appreciation, or critique thread. Though if you would like to share your own poems with us, in an appropriate section of Accy Web, I'll gladly critique them, and offer you my opinion. from the pen and ink of the Broad Oak waste pipe...chemical smellies poured out of pipes,filled the air with something ripe. That night,had a fish for tea and the Accrington stink was a fishy one - oh dear." Could be by John Cooper Clarke, in his first year at primary school. There's not much more I can say. Not something I'd waste time reading twice. First lists Alice Miller's published work. 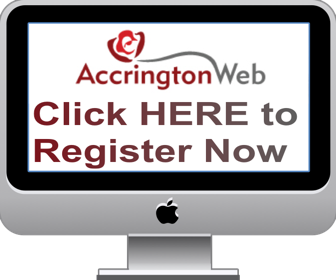 Second link features books connected to, or about Hyndburn, including An Accrington Miscellany. Incidentally she wrote a poem to be read at the funeral of my great aunt and uncle's son, Dr. Alfred Aspinall, who was killed in Aden in 1962, aged tweny seven. My grandparents gave money to fund a prize in his memory, for the best student nurse in the district, which was won some time later by one Margaret Pilkington! Aspinall.-On July 17, 1961, as the' result of an accident on the Aden Peninsula, Alfred Aspinall, M.B., ChXB., Lieutenant, R.A.M.C., aged 27. Cocka doodle doo I wouldn't waste my time reading that one you posted laddie so stop being a baddie you saddie! Oh you reek of arrogance you big headed little creep! Accrington stank in the 70's and it still does of verbal diarrhoea! Honestly there is a smell of manure that comes off the hills on windy days! Last edited by kestrelx; 02-09-2011 at 21:46. I haven't personally given any opinion on Alice Miller's work. She's recorded in the Hall of Fame, as a locally based published poet, known primarily for Lancashire dialect verse. Please try and keep this thread on topic. I knew Alice Miller in the early 1950s. She lived in a cottage in Duckworth Hall, Oswaldtwistle at the end of a row with Walkden Barn farm. I used to visit the farm every Sunday afternoon with my father and spent much of the time fishing in a stream which crossed the farm land. I would later visit Alice and her husband (and dog) and have tea and biscuits with them. She showed me how to paint and gave me a copy of a Christmas card which she said she had made for the Royal family. It was a picture of a dog in a highland type setting. She also gave me a copy of a book about 8 pages long entitled Bun-Ben-Bun which had hand-coloured illustrations. It was produced by the Yealand Studio in Carnforth and was written by Alice Miller with Illustrations by Margaret Hilton. She also gave me a copy of a poem she had written about me. It was entitled "A song for Bernard; a fisherboy I know". This poem was published in (I think) the Blackburn Times and I had the original framed. The cottage where she lived was demolished many years ago, although when I last passed that way, the rest of the row was still standing. She moved into Oswaldtwistle (near to Miller Close I think) and I used to deliver milk for a local farmer to her at weekends. She was a wonderful lady who, as far as I know, had no children of her own. I could never forget Alice.